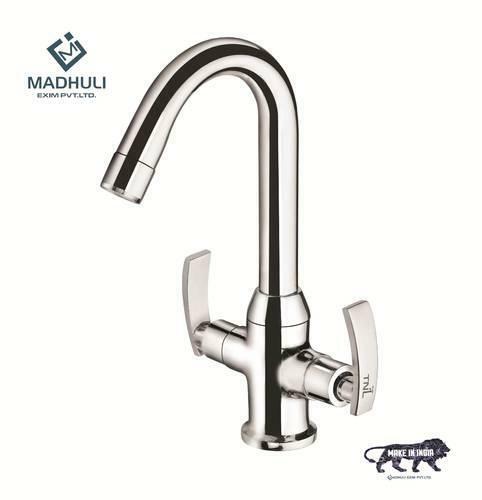 The company is well known in the market for the manufacture and supply of a wide range of bathroom fittings that include the Center Hole Basin Mixer which are made using a high quality of raw materials which have been bought from well known vendors in the market and they are rust proof in nature and offer a high performance to the customers in the market. These products have been priced at very affordable rates in the market. Established in the year 2016 at Rajkot (Gujarat, India), We “Madhuli Exim Private Limited” are a renowned manufacturer and exporter of premium quality range of Door Pull Handle, Hydraulic Door Closer, Tower Bolts,Mortise handle, Mortise lock body, Mortise cylinder lock, Tower bolt, Bathroom C.P Fittings etc. Our offered range is widely acclaimed for its features like durability, optimum strength and fine finish. Under the headship of “Mr. Rahul Malaviya” (Director), we have achieved a noteworthy position in the market. We are exporting our products to, Sri Lanka, Bhutan , Nepal , Bangladesh, UAE and United State of America. All our products are developed from anti-Corrosive high grade AISI 304 and AISI 316 Stainless Steel. The range made available by us is manufactured using excellent quality wrought iron, steel, brass and other metals that are sourced from most trustworthy & reliable vendors of market with the help of our procuring agents. These products are widely acknowledged in the market owing to their intrusive attributes such as dimensional accuracy, fine finishing, high tensile strength, excellent polish, corrosion & abrasion resistance and easy installation. Our product-line is extensively applicable in homes, hotels, educational institutions, shopping malls and other commercial establishments. Moreover, we offer these products in a spectrum of designs, shapes, sizes and dimensions in order to cater to the varied requirements of customers.